The popularity of the little blue guy cannot be denied. 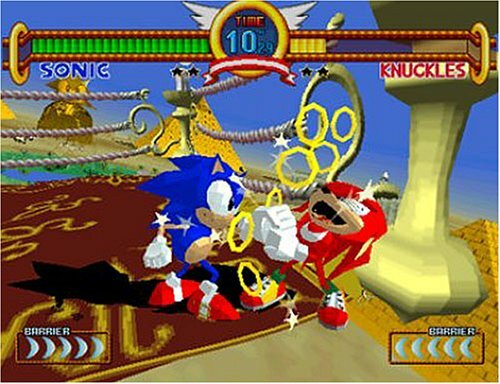 I remember the first Sonic game I played on the Sega Mega Drive and was totally blown away by how much fun the whole thing was. Sonic has had many games since then and this is the second main collection of titles to grace a newer console (although in a few months this will all be rendered irrelevant by XBox 360 and PS3). 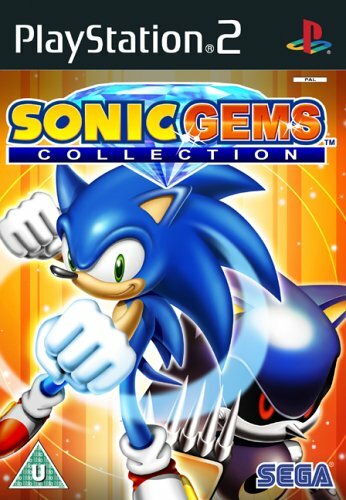 The collection here is pretty cool and the addition of titles like Sonic the Fighters, Sonic R and Sonic CD will have fans of the series very happy indeed. There are unlockable Vectorman titles on the disc and the retro gaming experience is excellent. Graphically we are looking at quite dated games and whilst this is not a problem I guess it needs commenting upon as some of you out there might be expecting enhanced graphics and the like, which simply, you will not get. This is old skool Sonic goodness, so let the pixelated times roll! Geeks for the series will love the artwork that you can check out of the whole series too. There is such a wealth of information crammed onto the disc that it will be hours of fun for whoever gets their mitts on it. The other nice thing is that almost anyone who can use a controller can have a play, so parents can play with their kids and everyone will still have a good time. I’ve no problems recommending this game in the spirit that it was created. 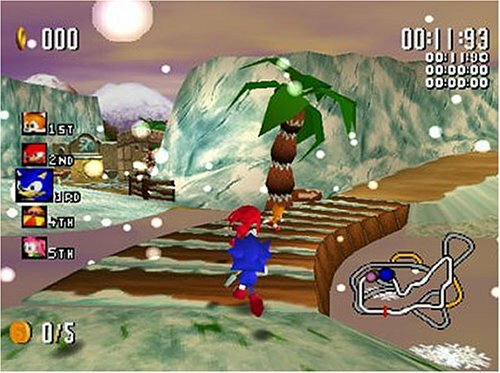 Gamers just need to remember that the title is retro, there are no enhancements and any issues with the original game will most likely still be here to annoy, like the control issues with Sonic R as it does feel a bit odd. In any case, the disc is a lot of fun and great value for money, so get out there and give it a shot and collect some rings already!